JAG Productions is led by Producing Artistic Director, Jarvis Antonio Green. Founded in 2016, JAG Productions' closed its inaugural season with an enormous honor: as the 2017 recipient of the New England Theatre Conference's (NETC) Regional Award for Outstanding Achievement in the American Theatre. Having successfully brought Broadway and TV actors and world-class designers to Upper Valley stages, JAG Productions has bright future ahead. The first season was met with rave reviews for it's three Vermont Premiers! 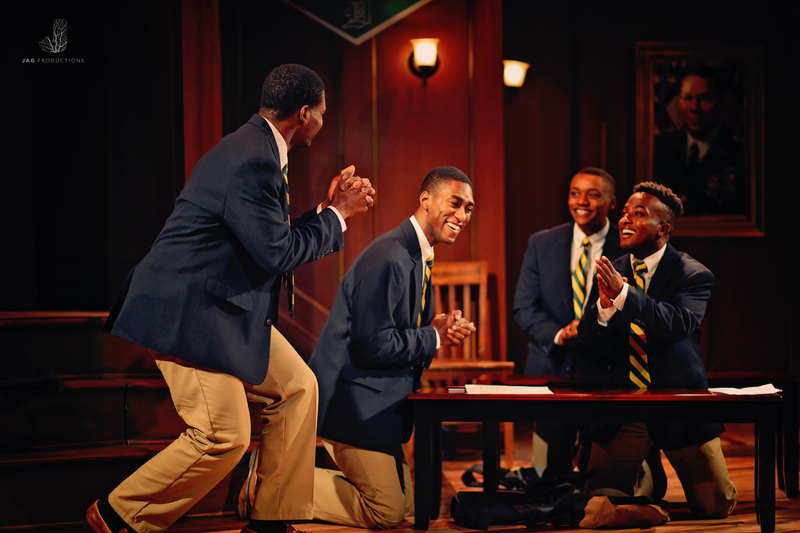 The first production was Tarell Alvin McCraney’s Choir Boy, a music-filled coming of age story set in an elite prep school for young black men. The show was staged at Briggs Opera House in White River Junction, VT. The second production was Polkadots: The Cool Kids Musical, a musical inspired by Civil Rights pioneers Ruby Bridges and The Little Rock Nine. The Inaugural season concluded with August Wilson’s Fences, the 1987 Pulitzer Prize for Drama exploring the evolving African-American experience on the brink of the Civil Rights Movement. Both shows from the second half of the season were produced at Woodstock Town Hall Theatre. Beyond the mainstage productions, JAG was able to offer a number of community outreach programs. One such program was a student matinee program, which provides local middle and high school students with the opportunity to see JAG's productions for free. Over 600 students from all over the region attended our performances. The company also launched JAGFest, an annual festival of new works celebrating the talents of African-American playwrights. The festival was presented in multiple venues around Woodstock and Pomfret, VT. Finally, JAG has hosted talkbacks after performances with guest speakers from Cornell University and Dartmouth College. JAG Productions sees itself as playing a role in bringing diverse actors and stories to the stage and to the Upper Valley. The staging of Fences was the initial production of a 10-year commitment to staging The American Century Cycle, August Wilson’s series of ten plays charting the African American experience through the twentieth century.